With many dealers having fixed the brand of oil to their servicing package, it may not be the most convenient for most drivers to try out the different brands of oil available in the market as Bring Your Own (BYO) oil usually incurs a surcharge that may not be worth the while. Out on the road, regular drivers may or may not notice the difference but to motor enthusiasts who connect to their rides as 'one', we always look for the best. As usual, this is not a paid write-up and so I have the liberty to be completely honest and I can say anything I want because sharing is paramount. So I have switched to HKS from Castrol and I have been using HKS lubricants for the past 30,000 kilometres on the odometer. With the fully synthetic base viscosity of 5W-40, the HKS Super NA Racing certainly brought out the best for my V6. Some say that this is recommended for larger engines above 2400cc and while I cannot stand by that claim, I can only say that the engine response is certainly more effortless for my direct injection 3GR-FSE. For my last oil change, I even went beyond the usual 10,000 kilometre mark by a further 5,000 kilometres due to my busy schedule and there were no issues. Performance wise, I did find that the engine was more responsive particularly at the 3700 rev mark. This is the 'sweet spot' of the 3GR-FSE where the Variable Valve Timing Intelligent (VVT-i) system makes the timing adjustments for more power and torque. The only other motor oil that I have used in the past that gave a similar responsive feeling was the FK Massimo High Spec Trinity synthetic oil that was 0W-20. Not sure if they share the same OEM but both motor oils are Japanese. Worth the try. Servicing package available for most cars at HKS Garage R Singapore. 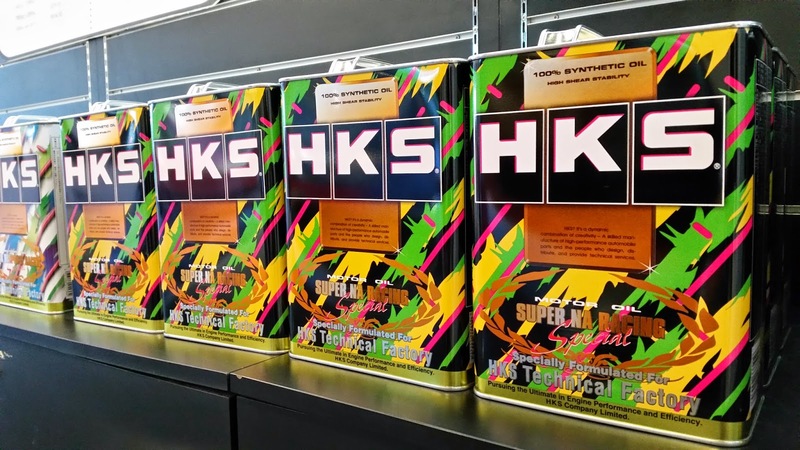 Last I checked, I also noted that HKS lubricants were also available at Autobacs Singapore.